Polypropylene. Flexible Blade. 110 x 77mm. Cake Garnisher. Flexible Blade. 110 x 77mm. Pastry scrapers. 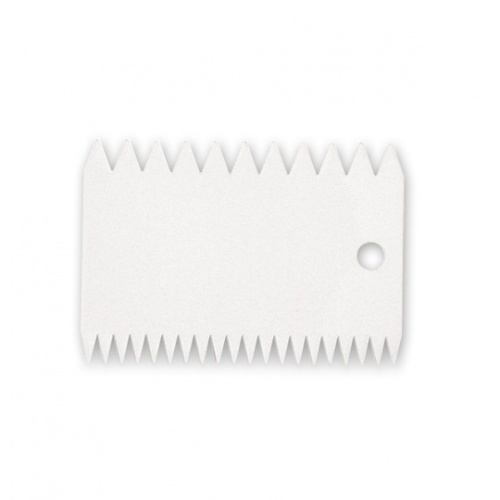 Available with straight or curved edges, with stiff or flexible blades. Polypropylene. Flexible Blade. 115 x 75mm.